I’ve written about 50 fiction and nonfiction titles for kids from birth to age 12, plus teaching resources, adaptations, magazines, apps, digital interactive pieces, you name it. Writing for Sesame Street kinda feels like the children’s media equivalent of writing Presidential speeches. It’s a total honor and sometimes a daunting responsibility to get the voices of these beloved characters right and to make the material as delightful as it’s been for the last 46 years. My first turn onto Sesame Street landed me smack in the middle of the “creative nonfiction” genre, which has since become my favorite. 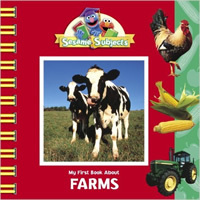 Grover (who was always my favorite Muppet) hosts each of the nine books in this “first reader” series, guiding the reader through fun nonfiction content. U.S. Social Impact Here’s where I spend my days. 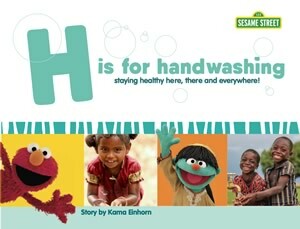 My department at Sesame produces mission-based community outreach initiatives, and I write much of the content. One I’m proudest of is our autism initiative: http://autism.sesamestreet.org/.